If you have special needs, we can custom made the kitchen for you! The bottom of the kitchen is equipped with tires and high-speed bearings. Stainless kitchen cabinets in the front and back. (you can custom-made your order). FULLY REFURBISHED MOBILE FOOD CATERING TRAILER TRUCK / VAN! NEW! 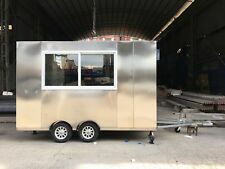 Trailer 1 2,2m W x 5,5m L x 2,0 m H (photo TRAILER 1). Trailer 2 2,2m W x 4 m L x 1,9 m H (photo TRAILER 2). Sale price in case of trailer 1 includes over 6000 eur worth of inventory and in case of trailer over 5000 eur worth of inventory. If you have special needs, we can custom made the kitchen for you! The bottom of the kitchen is equipped with tires and high-speed bearings. Stainless kitchen cabinets in the front and back. all pipes for gas and water, plug. Stainless kitchen cabinets in the front and back. If you have special needs, we can custom made the kitchen for you! The bottom of the kitchen is equipped with tires and high-speed bearings. W eight: 850kg. If you have special needs, we can custom made the kitchen for you! Stainless kitchen cabinets in the front and back. hand wash sink in the front and 3 sinks in the back. M ore product you can google it Huanmaitech. - Non-slip Al floor. Material:FRP Steel Plate Car Painting. and car paints，front and backboard of double-layer colour steel plate with thermal insulating layer. 2x Deep Fryer. If you have special needs, we can custom made the kitchen for you! The bottom of the kitchen is equipped with tires and high-speed bearings. Stainless kitchen cabinets in the front and back. Stainless kitchen cabinets in the front and back. If you have special needs, we can custom made the kitchen for you! The bottom of the kitchen is equipped with tires and high-speed bearings. If you have special needs, we can custom made the kitchen for you! The bottom of the kitchen is equipped with tires and high-speed bearings. Stainless kitchen cabinets in the front and back. Hot and Cold Water. Lightweight easy to transport (only 45lb - one person can lift the sink). These sinks are of high quality light and durable. No water and plumbing installation is required only connect to a 110v outlet and only fill the green water tank and ready, now you have a whole sink where you want and need. Stainless kitchen cabinets in the front and back. If you have special needs, we can custom made the kitchen for you! The bottom of the kitchen is equipped with tires and high-speed bearings. W eight: 600kg. 3kw generator. If you have special needs, we can custom made the kitchen for you. The bottom of the kitchen is equipped with tires and high-speed bearings. W eight: 950kg. hot water and water tank. Churros Machine. the price cover everything already. Coffee Machine. If you have special needs, we can custom made the kitchen for you! The bottom of the kitchen is equipped with tires and high-speed bearings. NEW STAINLESS STEEL SINK, PERFECT FOR CONCESSION STANDS. YOU CAN USE THESE SINKS PRACTICALLY ANYWHERE, CONCESSION STANDS, BAR'S, KIOSKS, RESTAURANTS ETC. 2" BAR SINK DRAINS & DRAIN BASKETS FOR EACH SINK. Stainless kitchen cabinets in the front and back. If you have special needs, we can custom made the kitchen for you! The bottom of the kitchen is equipped with tires and high-speed bearings. Under Counter Fridge. NEW STAINLESS STEEL SINK, PERFECT FOR CONCESSION STANDS. YOU CAN USE THESE SINKS PRACTICALLY ANYWHERE, CONCESSION STANDS, BAR'S, KIOSKS, RESTAURANTS ETC. 2" three in one BAR SINK DRAINS & DRAIN BASKETS FOR EACH SINK. 1 x Deep Fryer. 1 x Fryer Ice Cream Machine. Stainless kitchen cabinets in the front and back. If you have special needs, we can custom made the kitchen for you! The bottom of the kitchen is equipped with tires and high-speed bearings. This item will be shipped ORM-D (which requires the package be marked as such, AND IT WILL BE!) with domestic shipping only. We are a Certified UPS Haz Mat Shipper. Free Shipping is for Continental USA Only! New! This kit includes a Professional Pocket Thermometer so you can check return and supply air temperatures. It also has a protective sleeve and a pocket clip. Refrigerant R-410a Top off your system with this 5 Lb. disposable can of R-410a refrigerant. Recharging your system is super easy with this nice convenient 5 Lb. can. (1) CPS AD87 R410a Low-Side 5/16 Adapter Great for new installs , Mini Split Systems, Heat Pump Systems or any other equipment usuing R410a Refrigerant. This is what you get: ---One 5 Liquid Lbs. of R410a with a 1/4" Male Flare Hose Connection. ---The tank does have a on/off valve as well. The bottom and front of this Tricycle will be in Black Color. External power inlet. Churro filling machines. The bottom of the kitchen is equipped with tires and high-speed bearings. Churro Machine. Coffee machine. 3kw silent generator. If you have special needs, we can custom made the kitchen for you! The bottom of the kitchen is equipped with tires and high-speed bearings. Stainless kitchen cabinets in the front and back. NEW STAINLESS STEEL SINKS, PERFECT FOR CONCESSION STANDS. YOU CAN USE THESE SINKS PRACTICALLY ANYWHERE, CONCESSION STANDS, BAR'S, KIOSKS, RESTAURANTS ETC. 2" BAR SINK DRAINS & DRAIN BASKETS FOR EACH SINK. Churros Machine. Coffee Machine. If you have special needs, we can custom made the kitchen for you! The bottom of the kitchen is equipped with tires and high-speed bearings. Stainless kitchen cabinets. Double bed (2.1m x 1.5m). W eight: 350kg. 45L fresh water tank. The bottom of the kitchen is equipped with tires and high-speed bearings. (you can custom-made your order). Stainless kitchen cabinets in the front and back. If you have special needs, we can custom made the kitchen for you! The bottom of the kitchen is equipped with tires and high-speed bearings. Hot and Cold Water. The kitchen had very little use mostly to serve out of the truck, all the cooking was done in the brick and mortar bakery kitchen and in the food truck. If you have special needs, we can custom made the kitchen for you! 3 available flavors in ice cream machine. The bottom of the kitchen is equipped with tires and high-speed bearings. taiyaki waffle ice cream maker. 2X Deep Fryer. Flat Top Grill. The Walking Space inside the Kitchen is 2.4m(7.9ft) x 0.95m(3.1ft). Stainless kitchen cabinets in the front and back. If you have special needs, we can custom made the kitchen for you! If you have special needs, we can custom made the kitchen for you! The bottom of the kitchen is equipped with tires and high-speed bearings. Soup, Hot water. Flat top grill. However, we will try our best to minimize it. S now Cone Machine. 1 hand wash sink with hot water. (you can custom-made your order). If you have special needs, we can custom made the kitchen for you! Stainless kitchen cabinets. If you have special needs, we can custom made the kitchen for you! The bottom of the kitchen is equipped with tires and high-speed bearings. all pipes for gas and water, plug. #5106 - Funnel Cake Tool Kit. 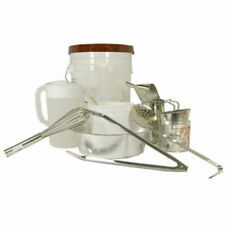 This kit makes Funnel Cakes much easier. If you have special needs, we can custom made the kitchen for you! The bottom of the kitchen is equipped with tires and high-speed bearings. Soup, Hot water. Flat top grill. we very glad to solve all problem with you. Stainless kitchen cabinets in the front and back. If you have special needs, we can custom made the kitchen for you! The bottom of the kitchen is equipped with tires and high-speed bearings. hand wash sink in the front. 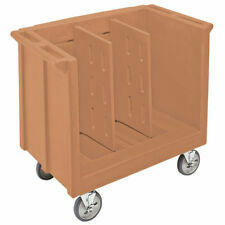 MOUNT TO TRUCK TO SUPPORT 100LB TANKS USED ON FOOD TRUCKS, CONCESSION TRAILERS, CATERING ETC. trucks, cars, generators, tractors, boats, motorcycles, RVs etc. We can build a kit to convert almost any engine! The 3-tiered design makes it space-effective, and the adjustable legs allow you to idealize the height for your needs. Shelf Width x Height x Depth 22.0" x 2.0" x 13.0";. Features Multi-Tiered;. Overall Width x Height x Depth 23.0" x 23.0" x 13.3";. Food trucks in the U.S. date back to 1872, when a culinary entrepreneur named Walter Scott invented the lunch wagon. Some people take the concept of food on wheels all the way back to the chuck wagons of the Wild West. In the 1950s, mobile canteens brought lunch to troops on Army bases, and food trailers, trucks, and carts bring culinary products to millions of diners, from fairs to street corners to weddings, as one of the ways to operate a catering, craft, or gourmet restaurant business. Do concession carts and food trucks differ? The exact differences between carts and food preparation and custom food trucks will differ between each state and local region. One fundamental difference between the mobile food service options is that food trucks are motorized and travel under their own power, while a vending cart must be pushed or towed. A mobile food kitchen will also have preparation and disposal facilities, while sandwich or hot dog carts carry and store premade food at controlled temperatures, such as frozen ice cream. Event grills and sinks can be towed to an event and used for hot dogs and burgers. Popcorn and cotton candy carts and kiosks can accommodate one to two operators. Vending trailers can come with or without cooking and cleaning devices. Smaller food trailers can be towed by pickup trucks or cars. What items are included with a concession trailer? Some concession food trailers include an awning, basic kitchen and cooking devices, wheels, and a towing hitch. Barbecue competition trailers should include a smoker, grill, and clean-up, storage and preparation areas. 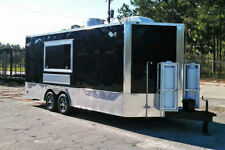 Specialized cuisine trailers can include pizza ovens, popcorn poppers, ice cream machines, and cotton candy makers. A custom food truck able to cater breakfast, lunch, and dinner to an event crowd can have an 11- to 14-foot interior length. At a minimum, the vehicle should contain washing sinks and grey water storage. A small food truck catering setup may not contain refrigeration, deep fryers, or grills. What kind of chassis do food trucks have? The size and type of truck chassis varies depending on the type of catering or vending business. Some coffee and pastry setups are built on a heavy-duty pickup truck chassis. A burger bus which will hold a fryer, grill, several employees, and serve a lot of people, is built on a bus or long RV chassis. Intermediate-sized trucks are built on utility van chassis and smaller RV chassis. Do food carts or kiosks have NSF certificates? The NSF is a food preparation safety organization that rates and certifies food preparation equipment. Devices and hardware inside the cart, trailer, or kiosk may be certified as safe by the NSF.